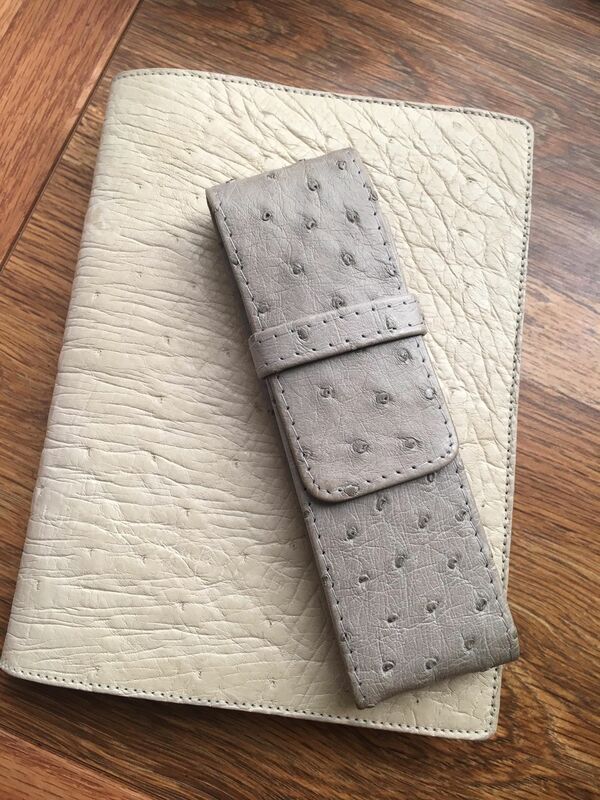 This is Jackie Dove’s Van Der Spek ostrich pen case against different backgrounds. All pics were taken by a window at the exact same time. No filter. 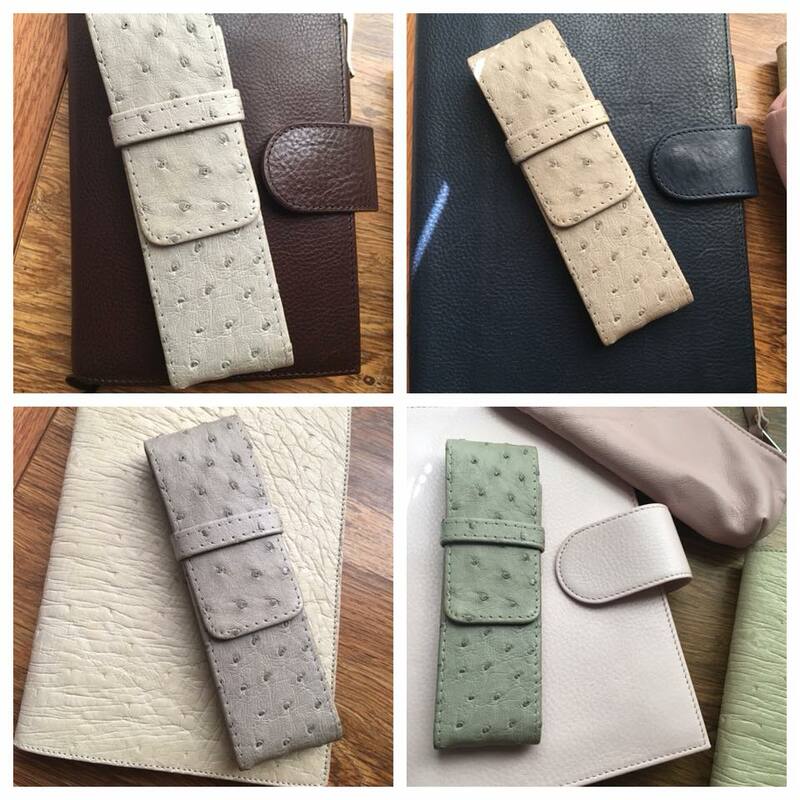 The first pic is my favorite and the case appears the most neutral against the dark brown. 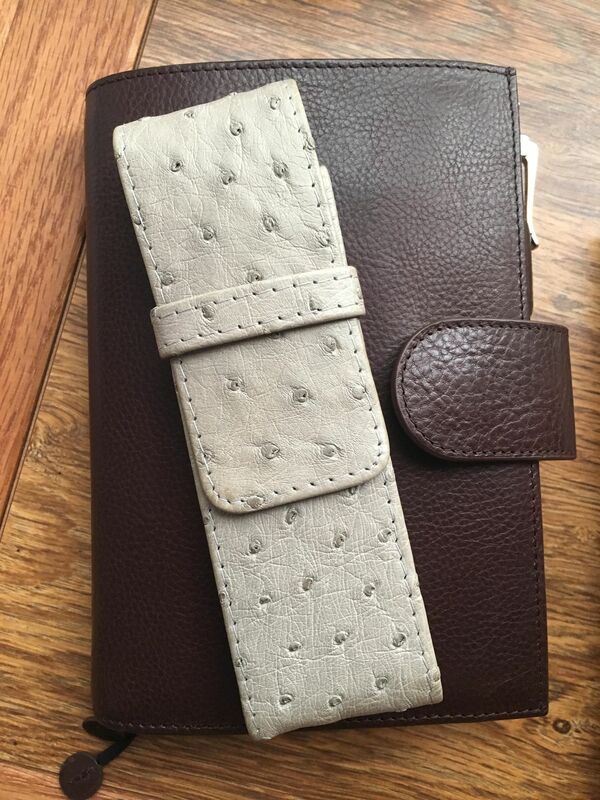 However, next to the royal blue, the case takes on a yellow tone, but has a purple cast against bone ostrich (genuine). Finally, with light pinks, the case has a green hue! 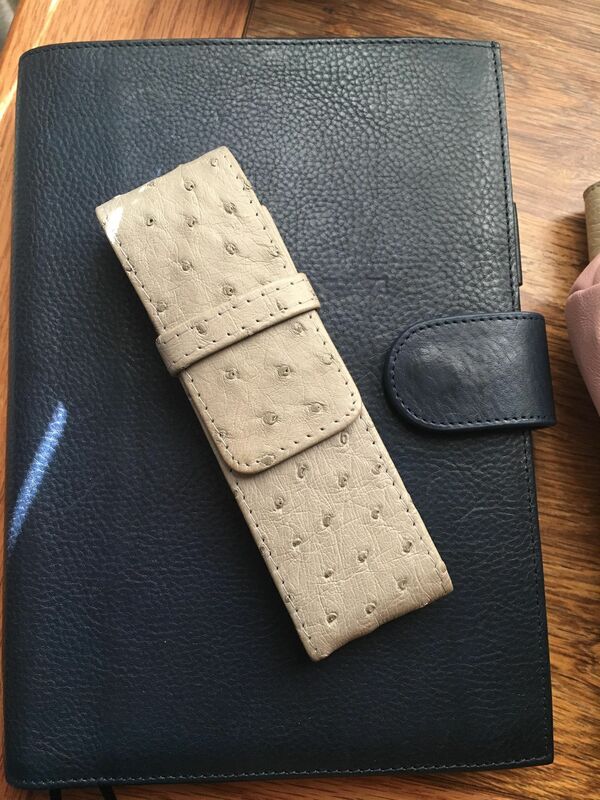 …and what is the official colour of that pen case? What is it called? 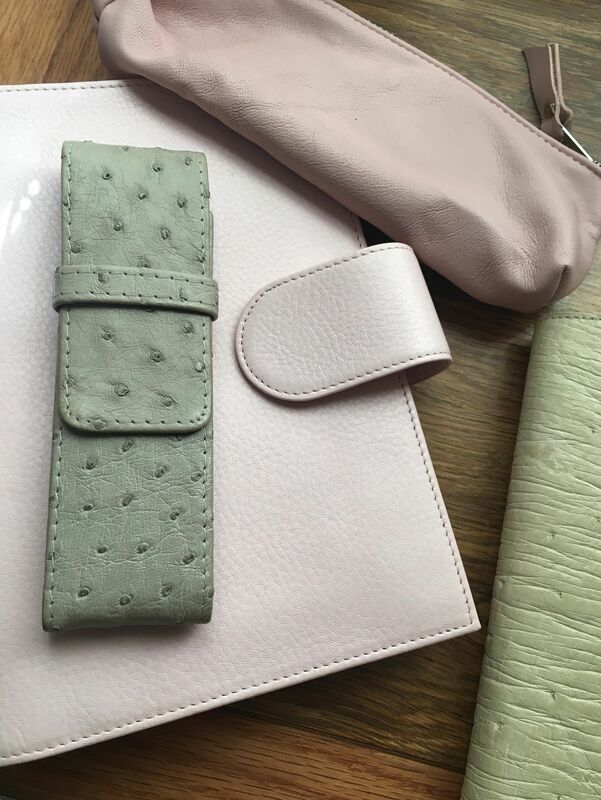 Cameras have settings whereby you can photograph a white background, eg a piece of white card, so that the camera memorizes white and you don’t get the contrasts in colour with different backgrounds eg the pencil case photographing as green against pink. That’s why wedding photography is not easy with the contrast of black groomsmens’ suits and the white bridal dress. My dad was a film cameraman and photographer in his youth, and would never photograph anyone sitting on a red sofa if he hadn’t had chance to do the camera settings with his white card, because they came out looking green and ill, just like your pencil case against the pink had a greenish tinge!!!!! There have been a lot of questions about the camera settings and I just used my iPhone. But, the reason I took the pictures is because I wanted to share how my eyes see it, now how the camera sees it. 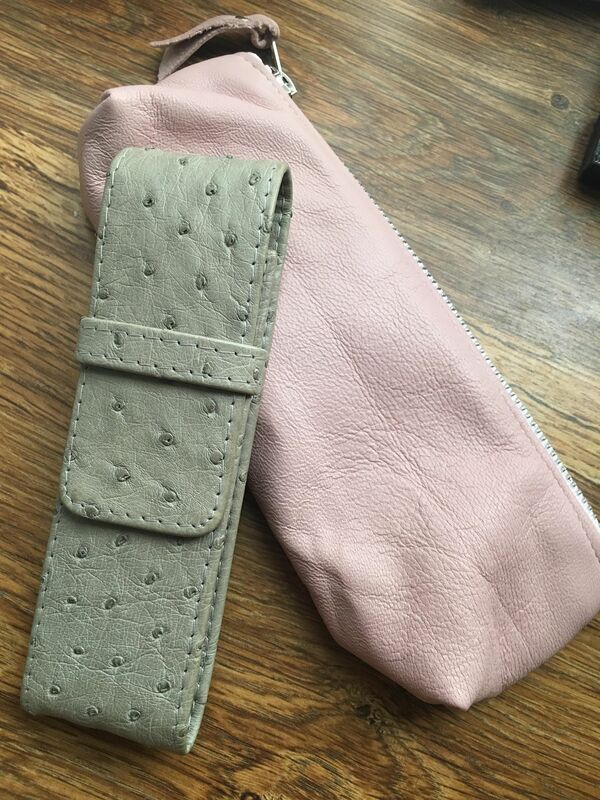 I almost sold the case when I saw it next to the pink but I remembered I loved it next to the brown so I started experimenting with different leathers. From the blue dress/black dress phenomena, we know that people perceive colors differently, and there is some good information out there on how background changes our perception. That’s what we are seeing here as well as what your dad had to address. It’s fascinating stuff!